Bramdean, near Alresford, Hampshire, SO24 0LA. Hinton Ampner house in Hampshire was restored in 1960 after a serious fire by Ralph Dutton, the 8th and last Lord Sherborne. They contain a large collection of furniture as well aspictures from Italy and other antiques. 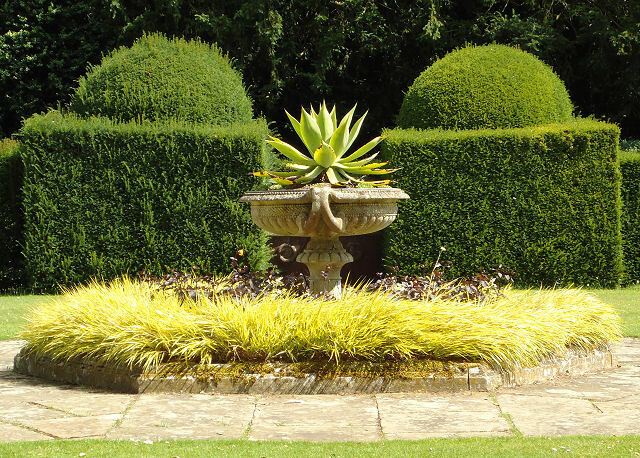 The garden was also designed by Ralph Dutton after being inspired by Hidcote Manor and are seen as a 20th-century masterpiece. The Hidcote concept of rooms can be seen at Hinton but they are less enclosed and on more of a linear plan. 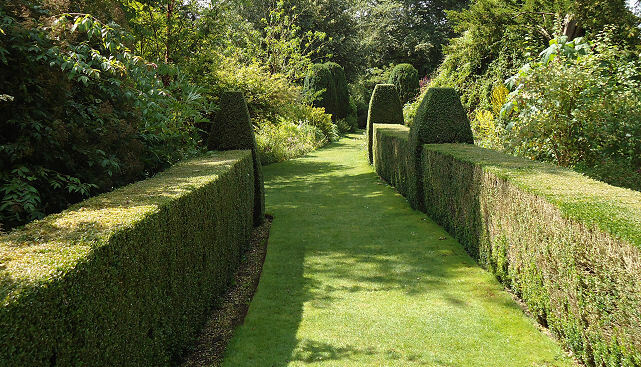 You don’t get the sense of surprise at every corner as you do at Hidcote but nonetheless it is a garden which entices, nay forces you to explore. The rear terrace has magnificent topiary and this is where the iconic umbrella topped specimens can be seen lined up in neat rows. The planting at Hinton seems to complement the topiary, or some may say the topiary complements the planting as two seem to be designed around the other. 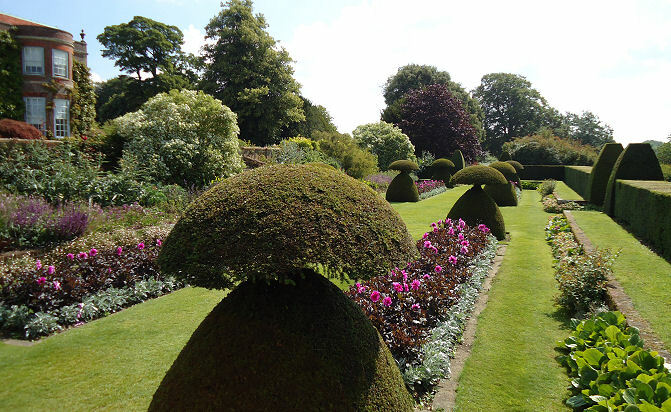 Often topiary seems to be put in as an after thought but not here. 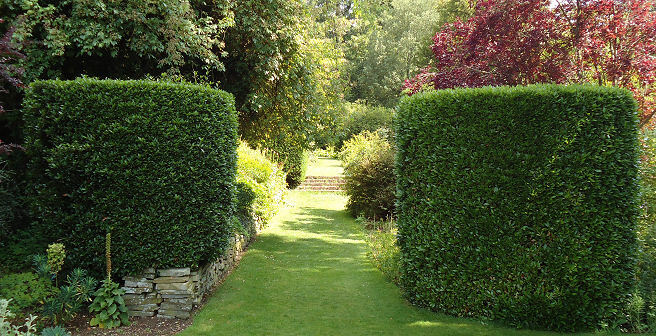 Away from the formal terraces are walks lined with large box hedges which positively encourage you to explore to see what monsters or fabulous delights you will find at the end of them. These are punctuated by pillars which give a military precision to the whole avenue and make you feel safe and important to the same degree. Here domed pillars compliment other garden ornaments and there is a sense of overall design to the gardens. At the front of the house the avenues are punctuated by domed pillars which lead away to the kitchen gardens and other hidden treasures. These give a slight sense of the orient or Ali Baba which is amusing in what is definitely an English Stately home. Throughout the specimens have different shapes which continue the sense of interest and surprise. I went on a sweltering day and I can thoroughly recommend the tea rooms!